INDUSTRY.co.id - Jakarta-The presidential candidate Prabowo Subianto said he would meet senior economist Kwik Kian Gie on Monday (09/17/2018), to ensure that Kwik joined the Prabowo-Sandiaga coalition economic expert team. He considered Kwik to be an expert in economics, a statesman and nationalist. 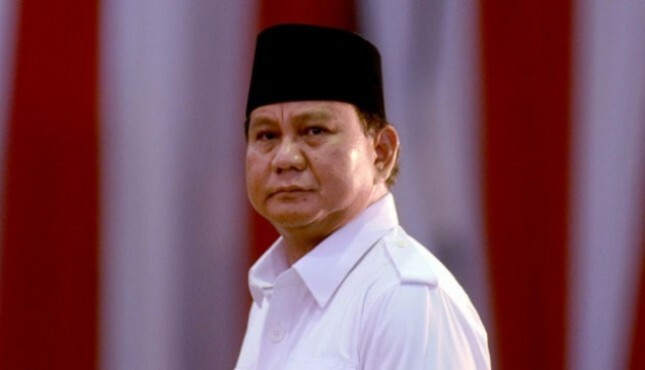 Prabowo said he was very happy if Kwik would give advice to him regarding the economy. "I am very happy if he advises me," he said. Previously, Prabowo Subianto said the Coordinating Minister for the Economy (1999 - 2000) and the Minister of National Development Planning and the Chairperson of Bappenas (2001 - 2004) Kwik Kian Gie joined the Prabowo-Sandiaga coalition of economic experts. He said that even though Kwik was a PDI-P struggle cadre, he wanted to be his advisor for the economic field. "Kwik Kian Gie has stated that he wants to help us, even though he is PDIP but for the sake of the country he wants to be one of my advisers," Prabowo said after meeting Susilo Bambang Yudhoyono (SBY) at his residence in Kuningan, Jakarta, Wednesday (12/9). He stressed that Kwik said he wanted to be his advisor and he welcomed the desire and there were other economic figures who joined and would be announced. According to him, for the benefit of the nation and state, it does not see which background, ethnicity, race and region.